Just when you thought Call of Duty couldn't get any more masculine. 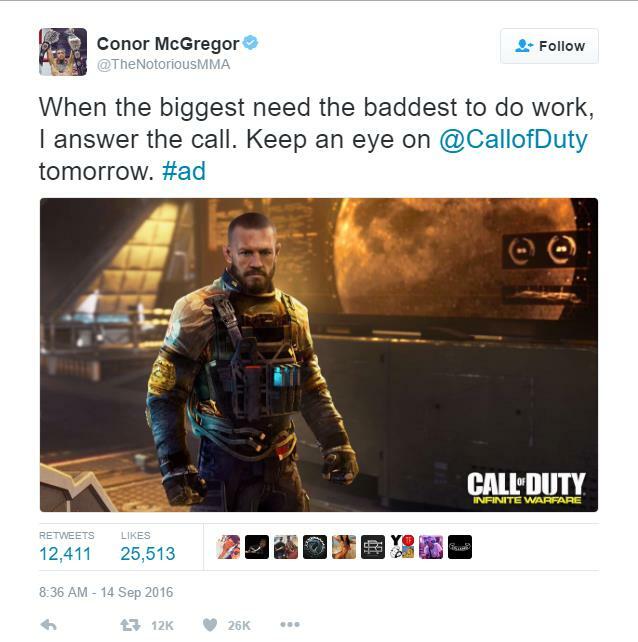 Conor McGregor tweeted today about his inclusion in the upcoming shooter. All there is right now is the image of his character, but apparently more information is due out tomorrow. Infinite Warfare launches November 4th, and if (and only if) you get the $80 special edition, Modern Warfare Remastered launches right alongside it.